We all know someone who processes senses differently. 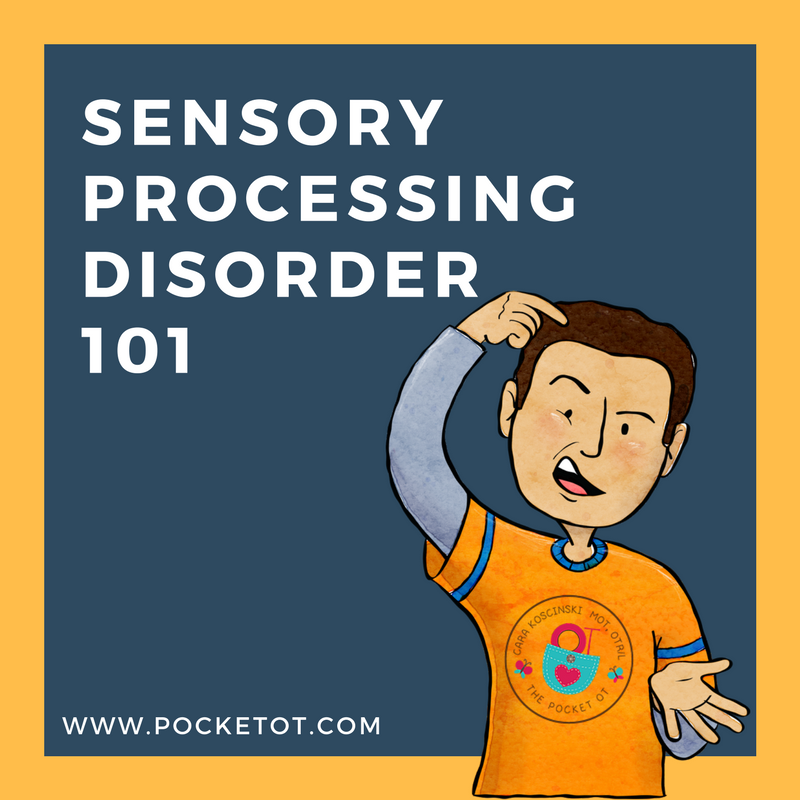 Even though Sensory Processing Disorder has not yet made that ‘official’ status in the DSM (diagnostic manual that doctors use to name disorders), we know it’s REAL! Ask anyone who craves deep pressure, cringes at the sound of someone else chewing, or hates tags if the are ‘faking’ it and you might get yourself a very dirty look! In fact, Sensory Processing Disorder is so real that it can debilitate anyone in a snap. Think about a fire alarm going off and the utter panic elicited by one single sound. The fact is, our bodies are designed to protect us from perceived danger and our very survival depends on it! FREE download at the end of this post! Use it to help understand sensory activity ideas. What ARE the eight senses? We see things with our eyes and an entire center of the brain is designated to process and make sense of what we see. Sometimes, we react reflexively to light (pupils constrict or dilate) and other times, we need a few seconds to process what we are seeing. Our nose is intimately connected with our brain. In fact, the olfactory lobe of the brain is RIGHT near the nose! Smell is even directly connected to our brain’s memory areas so that a certain smell can immediately trigger powerful memories and emotions. Everyone who has experienced a sinus infection knows that if you cannot taste, it’s not worth eating! We all prefer salty, sweet, sour, hot, spicy, and other foods. Our mouth is equipped with receptors that allow us to enjoy eating. Our society has traditions surrounding mealtimes and one of the most stressful types of sensory integration dysfunction involves feeding or oral-sensitivity! Read the Parent’s Guide to OT for Autism & Special Needs……contains sensory, behavior, hair washing, dressing, motor skills and more! Activities you can do with your child immediately. We respond to our environment effectively as we process sound. An infant in the womb knows her mother’s voice and responds to it. As we learn about our surroundings, we understand that sounds can mean danger. For instance, high-frequency sounds give us detail about information around us and low-frequency sounds (thunder or booms) alert us to possible danger. Many people with sensory integration difficulty experience hyper-sensitivity to sound. One of our favorite ways to help those individuals is via a product called Sound-Eaze. It contains common sounds people fear and pairs them with rhythm and vocals to nursery rhymes so that children can control sounds they otherwise cannot. There’s even a School-Eaze version. Receptors in the skin give us information about light touch, heat, cold, rubbing or brushing, and so many more. We are sensitive to our clothing and feel the pinch of tags, seams, and other itchy fabrics. The dysfunction comes in when we cannot ‘accommodate’ or get used to those irritations. So, a person who has extra sensitivity in the tactile area does not accommodate to the tag…..it’s itchy and even painful and does not stop until the shirt is removed! Can you imagine feeling your tag ALL day and then trying to work a business deal or form a presentation if your tag is pinching you like a bee’s bite? It would be terrible!! This is the body’s sense of position or joint position. Receptors embedded in our joints and limbs give us information about where we are in space. This is critical as we function so that we can have smooth and coordinated movements. We need to know how far to reach for our pencil in order to effectively grasp it. We do not need to look at our legs as we walk, we just know they are on the ground and then move them reciprocally to walk. We take this sense for granted. Consider driving. We are looking at the road but know where the gas, brake, steering wheel, and signals are and can move our body to use them without much thought. The process really is automatic and smooth. If you’re technical, the spinocerebellar tract in the spinal cord is the highway to our cerebellum and all of this (among other processes) make a nice and smooth system. Over 100 cards for your home, classroom, clinic! One of the reasons I chose to write this post today is because I’ve had a sinus infection all week. I’ve been dizzy and nauseated for a while now and I’m quite irritated! What if someone was always feeling dizzy and queasy due to ineffective vestibular processsing. I bet they would feel cranky too. The vestibular system includes parts of our inner ear and brain that help control balance and eye movements. Here’s a link to the Vestibular Disorders Association. It’s a very helpful website. Clumsiness, vision difficulties, coordination and balance issues are common with vestibular dysfunction. This lesser-known sense is so exciting that I’m almost finished with my favorite book yet about it. For more information about interoception…..read my earlier blog post here. Hi! Just click on the download and it will be automatic. Thanks!